My new readers and customers often ask: What is the difference between a WordPress Post vs. Page? Why do we have both? and When do I use one over the other? I want to help define that and I also want it to lead into an SEO discussion as you might want to treat them very differently. First off, let’s make sure you have a clear and clean model in your head about how the web works and how WordPress works in conjunction. We need some definitions to make this article clearer. These words are often interchanged and soon you will be able to distinguish the different based on the context that they are used in. Website – a collection of hyperlinked documents. Webpage – a single hyperlinked document. 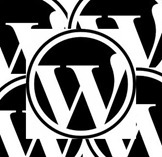 WordPress – a content management system that acts as a website and delivers webpages. WordPress Page or page – a single piece of content that WordPress delivers as a webpage. WordPress Post or post – a single piece of content that WordPress delivers as a webpage. Wait! Post and Page are the same definition… Yes, as far as the web is concerned there is no difference between a WordPress Post or Page. The distinction is entirely created by WordPress to help you organize your content. Here is an easy way to think about Posts vs. Page: timeliness. Does it matter that the content was written today or a month ago or next year? Posts in WordPress are organized in time order. An easy example is a blog where the author is creating a sequence of entries. These are clearly posts, they have a time sequence, are social in nature, and often have comment boxes. Pages are content that is more static in nature, like the “About Us”, or a “FAQ”. When WordPress delivers a page to a web browser, it does not usually show a date for when the page was created. Pages often end up as part of you menu like a “Contact Us page”. Pages don’t usually have comments and they can be organized in a hierarchy, like your menu structure. There are structural pages that the site is built around, like Contact, Help, FAQ, About Us, but there are also pages that anchor and define the site. For instance, you are making a knitting blog site where you blog about knitting. You start to get readers and you decide you want to make some money off your blog by selling knitting accessories. You want to rank high for knitting with search engines. You will need a good About Me page that defines why you are an authority. You will need some good tutorial pages with a menu entry like Best Stitches and some pages below that might be … for Booties …for Scarves, etc. In other words, you need some organization that helps define what your site is about and why your are an expert source of that material. These become pages and the search engines are smart enough to recognize source material. Posts are a running commentary that engages your readers. Pages are more static and used for navigation and foundational to the purpose of the site. They bring your potential reader up to speed so that they, too, can be engaged by your posts. Think about your site and how you want to organize it in WordPress. Who do you want to be on the internet? What is your expertise and why will people want to read your blog? Come up with a clean organization around those ideas and your site will grow and search engines will find you.